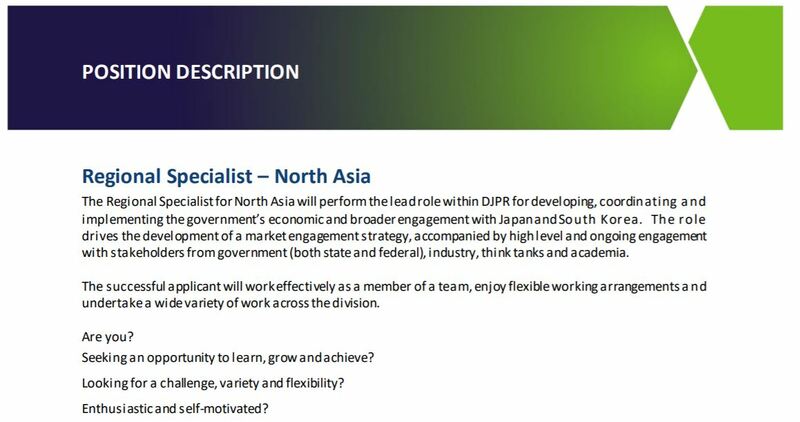 The Victorian Government is recruiting for a Regional Specialist – North Asia. with stakeholders from government (both state and federal), industry, think tanks and academia. undertake a wide variety of work across the division.